Custom made to fit your entryway our aluminum storm doors are now available in 5 arch top shapes. 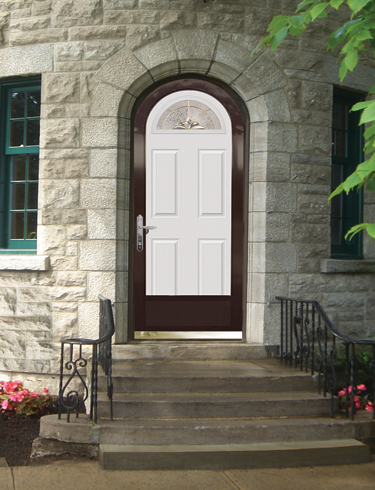 Our extruded aluminum arch top doors are pre-formed to fit your opening. The glass is held in place using our cam lock system giving a secure fit.